China is poised to overtake the U.S. as the biggest retail marketplace in the world this year. 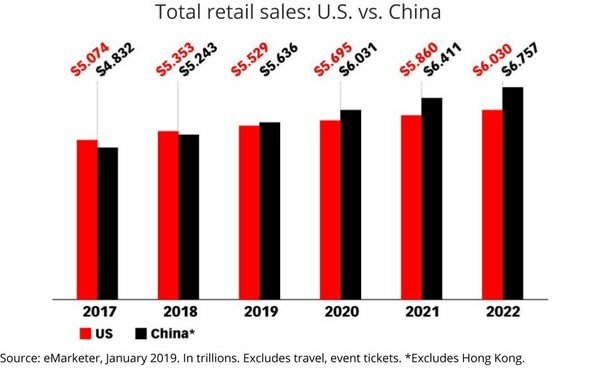 According to new estimates released this morning by eMarketer, China will take in $5.636 trillion in retail sales during 2019, $36 billion more than the $5.529 trillion eMarketer projects in U.S. retail sales this year. Not surprisingly, the balance shift is being driven largely by ecommerce, which has been fueling China's retail expansion. According to eMarketer estimates, China's ecommerce marketplace will expand more than 30% this year to $1.989 trillion. 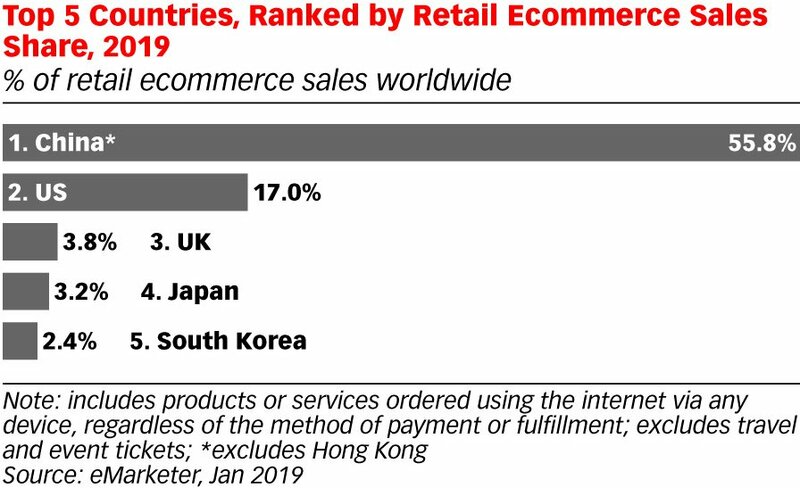 "That means 35.3% of China’s retail sales occur online, by far the highest rate in the world," the report notes, adding, "The U.S. lags far behind, with ecommerce on track to represent 10.9% of its retail sales. 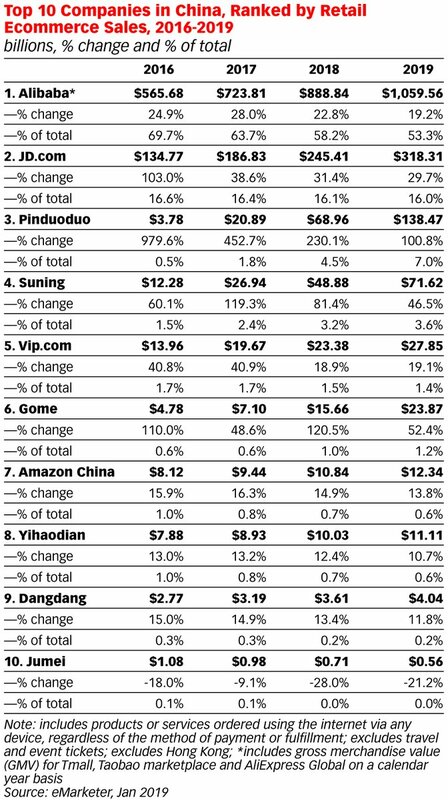 China surpassed the U.S. in ecommerce sales in 2013." By the end of this year, China will have 55.8% of all online retail sales globally, according to eMarketer.